Armenian Member of Turkish Parliament Garo Paylan of the Peoples’ Democratic Party (HDP) recently wrote the following op-ed for Istanbul-based biweekly Agos newspaper. Below is the English translation. However, something different happen: insults and crisis. I said, “Well then, you name it,” to the ones who objected me. That night, the MHP threatened the [ruling] Justice and Development Party (AKP) not to support the proposed amendments if I was not punished. Thus, I was banned from the parliament with the votes of the AKP, MHP, and the Republican People’s Party (CHP). I was subjected to the lynching campaign of the nationalist front. 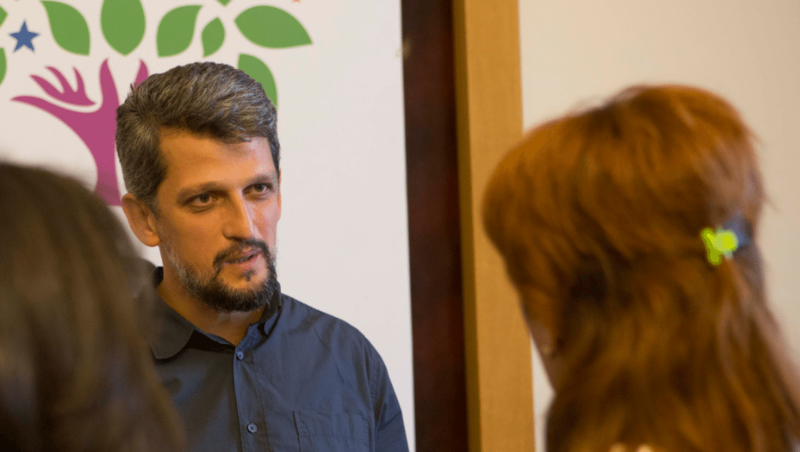 BRAVO Garo Paylan! Turkey,the world and Armenians in Hayastan (Armenia) and all over the world need a HERO like you. May God bless you & protect you from the evil members in Turkey’s government and keep you away from harm & persecution. We brookevalleyresearch.ca Canada are still trying to make a contribution to the resolution of the Armenian Genocide by way of our project War Children for Peace and the Resolution of the Armenian Genocide. My late father in law Kerop Bedoukian was Armenian from Sivas. Kerop recalled his survival as a ten year old in THE URCHIN, which he wrote in honor of his mother who made his survival possible. Kerop Bedoukian’s book “The Urchin”, which also is known as “Some of us Survived, brilliantly captures the experience of a young boy during the Genocide. I highly recommend it. Paylan is a hero. He is a human rights activist that deserves the attention of major powers. His message must be amplified by Armenia. The US and EU must stop their policies of turning a blind eye on what’s happening in Turkey. It is shameful for the US and EU to keep silent on the slaughter of Kurdish people and minorities. Imagine if this was happening in China or Russia what would the US do? Should we not first focus on the living and their problems now? Should that not be the priority? very sad but would you expect anything else from the turkish parliament? they are blind to the facts and the TRUTH and you cannot change their attitude. They have a problem without doubt and that also stems from other prominent countries who have and still refuse for political reasons to avoid the word “Genocide” – yes! include israel with the others who have failed to acknowledge the atrocities and the genocide. For that,”shame on all those countries who have avoided the TRUTH for political and financial gain”. you have a great heart for your homeland, unfortunately it doesn’t exist anymore politically or geographically, in fact it stopped existing close to 900 years ago. You might be born and bred in Turkey however you are deluding yourself in thinking a Turko-Mongol bunch of goat herders are going to listen to your call. You are like John the Baptist calling out in the wilderness. If you really want to help your homeland why not cross the border to the Republic of Armenia and use your political expertise to save what is actually your present geographical homeland. If R.O. Armenia can become politically and economically strong in the region then your dream could come true in the future. lamenting on others success or failures will not bring us the glory you envision for the Armenian people. Other countries and groups are very strongly organized politically and psychologically, and use their combined power to help and aid their actual homeland. if the Armenian people continue to be divided and shed tears on others successes we will continue to be beggars in the international political realm. As Nietzsche said we must have the will to power and not think if Turks, Germans or whoever should even care to help us, if we first cannot show a united front to these entities about and around our present homeland Republic of Armenia. this is another Garo! I wish to honour your bravery in the face of ‘insults and crisis’. The comment “Garo, you are right, but is this the right time to speak about the genocide?” illustrates the fragile nature of the Armenian desire for acknowledgement and justice. There is never a right time, because there will always be strategic difficulties with Turkey & its allies – whether it is in relation to Syria, EU membership etc. A bully [the Turkish Government) has to be confronted with the truth (genocide) otherwise they will continue to enforce their distortion of our shared history. It is a great honor and pleasure to know that the voice of Truth sounds in the citadel of Turkish nationalists, and this is the voice of a brave and honest Armenian who dares to do it in the atmosphere of fear and hatred. You are doing a very important job. This is necessary for all, first of all for Turks. They must cure this disease just as Germans did. Please know that your efforts will bring their fruits. Millions of good will people of different faiths believe in you and support you. Garo Paylan’s analysis of the proposed Turkish Constitutional amendments and historical parallels are extremely relevant today. The political movement in Turkey to strengthen the Presidency at the expense of the Parliament is very dangerous. The three political parties teaming up to ban dissent could lead to a frightening outcome in the near future. We all know what happened 100 years ago.